In just 57 days the first ever Mini Conference conducted by SNDS will take place at Pressen, Politikens Hus, in Copenhagen. We are in the last days of putting to program together but the first speaker has already beemn annonced. It is Javier Errera of Errera Communications in Spain. The program starts at 13.00 Tuesday 4. of June. Tickets will be available Wednesday 16. of April at biletto.dk. 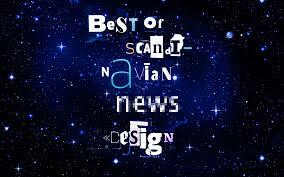 The price for the mini-conference is 2.800 Danish Kroner – 370 Euro – and do include participation in the yearly Award Show, where the winners of Best News Design Scandinavia 2019 is revealed. The price includes award dinner.